My name is Juan Gallardo and I am passionate about photography and South East Asia, specifically Myanmar (Burma). This website focuses on Myanmar, its people, its culture and its sites. All the pictures you will see are my own from my travels all over Myanmar, meeting wonderful people and getting to know amazing sights. Whether you have already travelled in Myanmar, are planning a visit or want to discover the country through pictures, this is the site for you. I hope that you enjoy my photos of Myanmar and all of my advice and information about the country. If you would like to ask me for consultancy and research, advertising, an interview, use my photos or just say hi, please send me an email to info [at] myanmartravelessentials [dot] com or contact me on LinkedIn. Juan Gallardo is an entrepreneur from the Spanish city of Seville. A born adventurer, he has lived in the UK, the US and Europe and has travelled extensively. In 2012, Juan gave up a successful seven year career in Finance to embrace his passion for Southeast Asia, and headed for Myanmar. After a few months travelling the length and breadth of the country with his backpack and camera, he was inspired to start a blog where he shared his experiences of Myanmar along with his bold and vibrant photography of the country and its people. The blog was an immediate hit and now has thousands of visits every month. 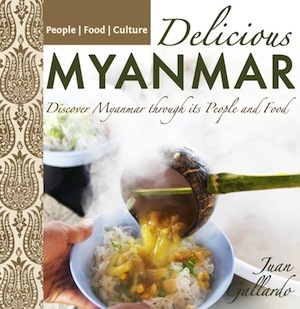 Juan returned to Myanmar in 2014 with a renewed desire to discover everything about Burmese cuisine. He travelled to remote areas of the Golden Land, tasting traditional dishes cooked for him by the locals. 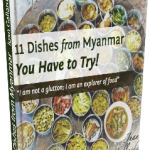 It is these amazing dishes, the warmth of the people and the beauty of the land that is captured in Delicious Myanmar. Make a donation. Buy me a coffee. You can also find me on Google+, Facebook and Twitter. I would be grateful if you would share my posts and blog with a friend who loves Myanmar like we do. I have developed this comprehensive photoblog of Myanmar (Burma) so that you can explore the country with me. Here is where I will share my pictures of Myanmar. Join me on my journey through this amazing South East Asian country. Have you travelled to Myanmar? Love the culture and want to stay connected with this fascinating country even when you’re back at home? Here you can find Myanmar-related businesses and services that are outside of Myanmar. Search through the listings to find Burmese restaurants, embassies, language schools, travel agencies, and more. Let me help you plan your trip to Myanmar. I share my favourite hotels and you can read reviews & book them online here or directly from Agoda. Also, check out my recommended routes and tours, find useful information to travel safety, how to apply for eVisa online, and more. Essential reading before visiting Myanmar. Travel Map of Myanmar with the areas and routes allowed and forbidden for tourists.